What's the History of UFO Activity in Massachusetts? 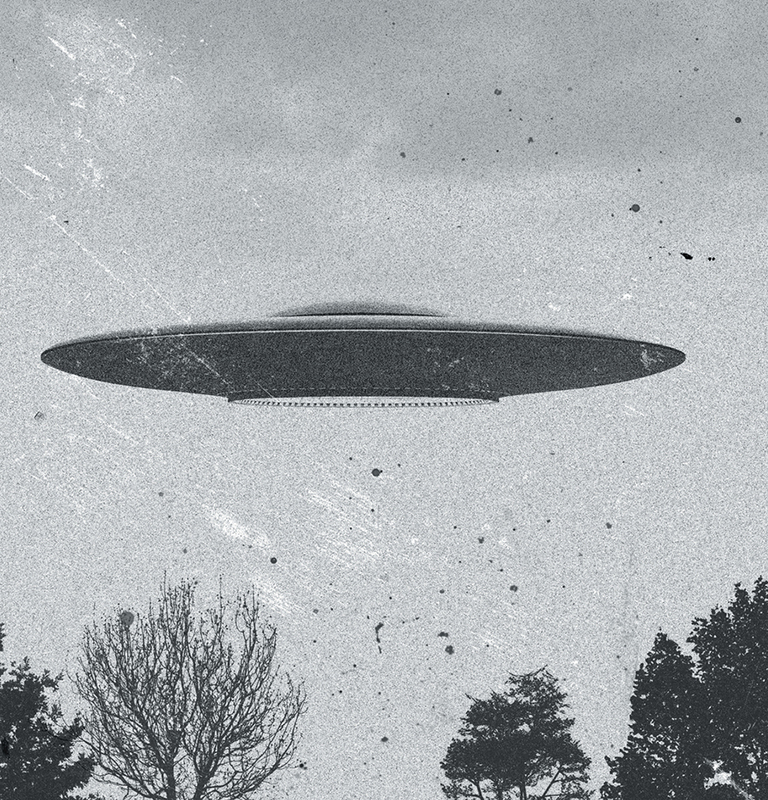 One Last Question: What’s the History of UFO Activity in Massachusetts? Even skeptical historians credit Boston as the location of America’s first claimed UFO sighting. By Matthew Reed Baker·	 5/30/2018, 5:40 a.m. I was driving late one Saturday night near Hanscom Air Force Base, and I swear I saw a glowing orb moving up and down in the sky. I know this isn’t Roswell, but what’s the history of UFO activity in Massachusetts? To be honest, H.S., part of me thinks you should have pulled over, if only to sleep off whatever you imbibed that night. But hey, I don’t want to be disrespectful to an eager reader, and besides, I have a job to do. So I started poking around UFO databases, and lo, I found that several other people have reported sightings near Hanscom, with ominous overtones straight from The X-Files. In January 2017, for instance, Jim from Burlington wrote into the UFO Sentinel website about “a large point of light” hovering over Hanscom along with “the usual jet streams and whatnot coming and going.” And thus I entered the rabbit hole of paranormal research, a dark place where my skull felt like it was growing tinfoil instead of hair. Of course, none of these sources is exactly, y’know, reliable. But even skeptical historians credit Boston as the location of America’s first claimed UFO sighting, thanks to John Winthrop, our colony’s Puritan cofounder who envisioned “a city upon a hill.” In 1639, however, Winthrop wrote that three of his fellow colonists had envisioned something more otherworldly: While rowing on the Muddy River in the Fens, suddenly they witnessed a great light “three yards square” speeding back and forth between them and Charlestown “as swift as an arrow.” Since then, every New England state has had its share of UFO stories, even resulting in photos of flying saucers that look like KitchenAid’s finest.